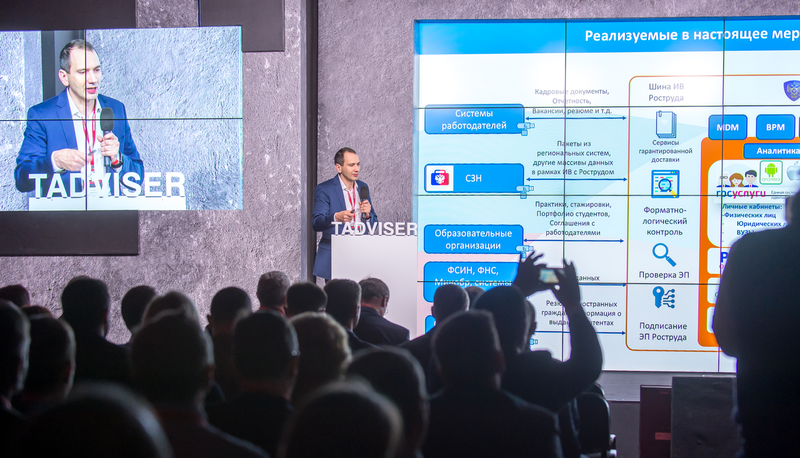 On November 29, 2018 in Moscow there took place the TAdviser SummIT conference organized by TAdviser, the leading expert center concerning automation of the state and business in Russia. During the conference the prospects of digital transformation of business and state agencies, development of technologies, products and services were discussed. The action took place in 5 Digital October halls. 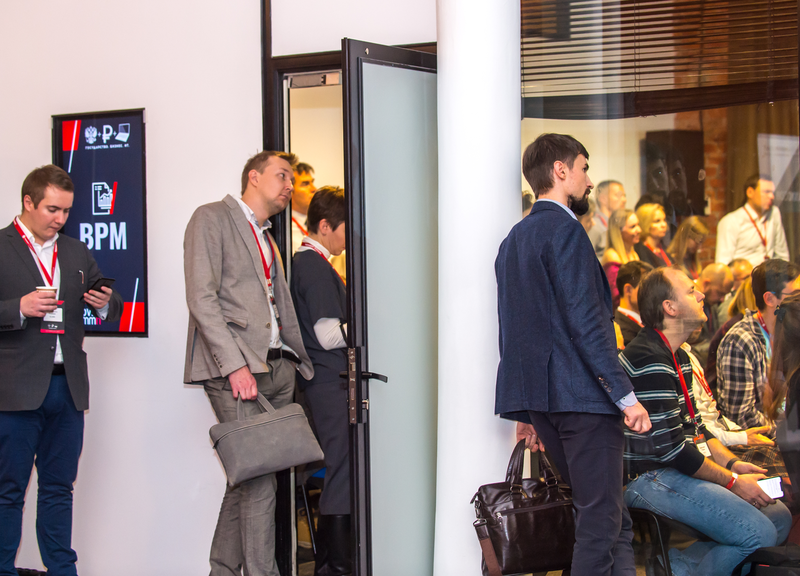 The conference consisted of a plenary part and 5 industry sections: "IT in a public sector", "IT in the financial sector", "Big Data and BI", "IT in the industry", "BPM Day". In total at a conference more than 70 reports were heard. Алексей Ivanov, the vice chairman of the board of the Pension Fund of the Russian Federation, shared information on key projects of department. Выступление Sergey Pegasov, the head of directorate of IT of Promsvyazbank, it was devoted to new calls which face financial institutions. 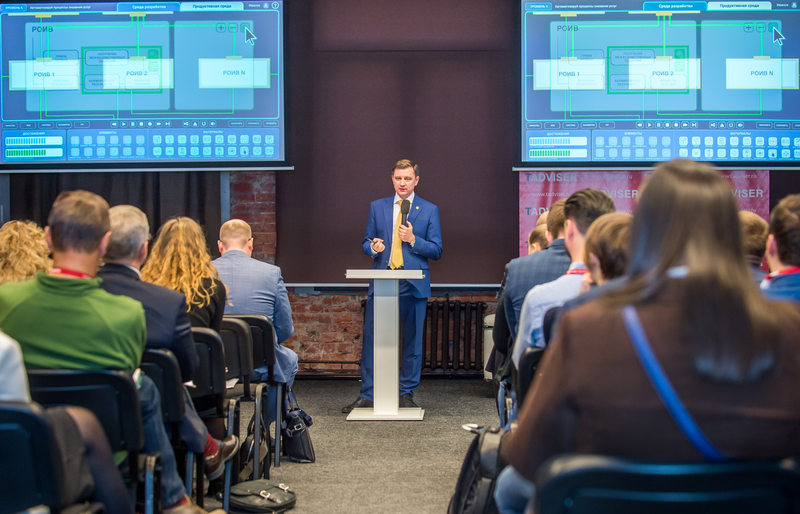 Alexey Nesterov, the director on the ERP solutions "1C Companies", suggested to use for strategic management by business at digital transformation a complex of solutions "1C: Corporation". 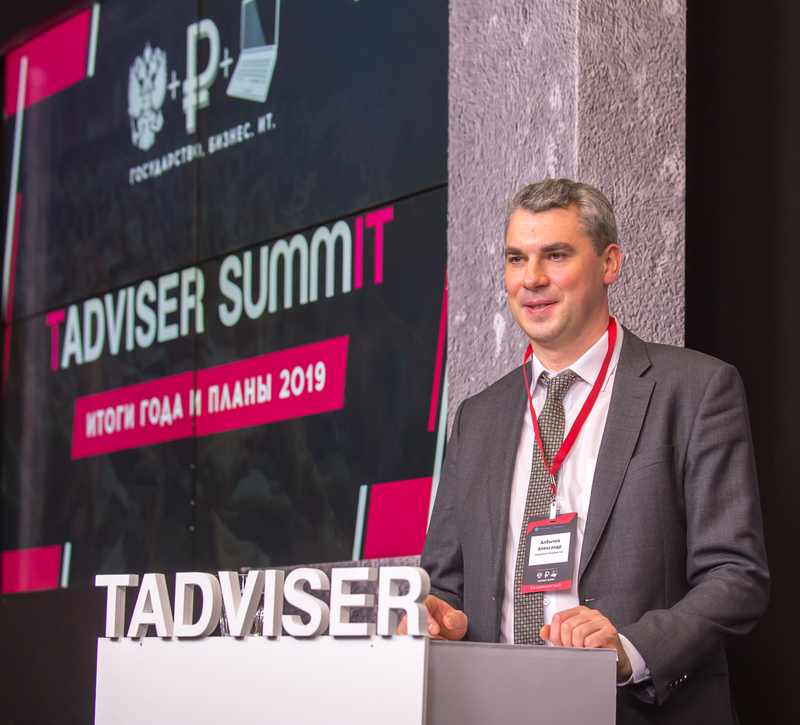 the Number of participants of TAdviser SummIT exceeded expectations of organizers therefore for the next conference which will take place in May, 2019 the decision to increase the area of holding an action is made. The action became record on attendance, having brought together more than 700 participants. Among them - representatives of the largest federal and regional state organizations, including the Ministry of Internal Affairs, the Ministry of Natural Resources, the FSO, Rosaviatsiya, the Administration of the President, Rosleskhoz, Goznak, the Bank of Russia, the Governments of Moscow, Khabarovsk and Perm Krai. 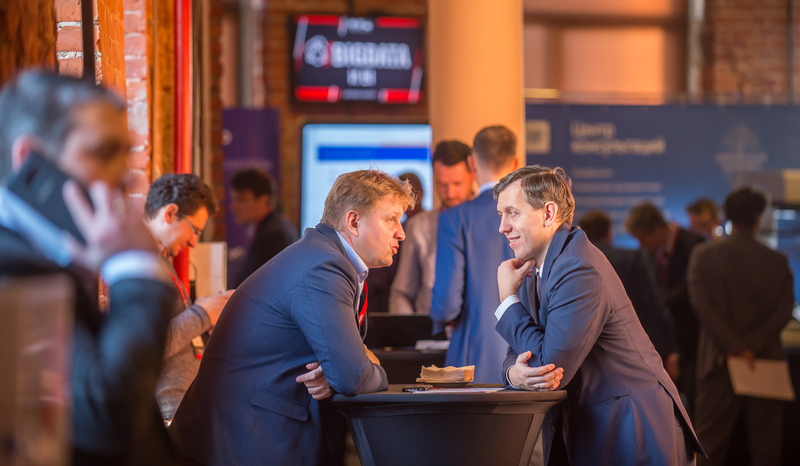 Among participants from large business - representatives S7 and Aeroflot, MGTS, British American Tobacco, Tele 2, MegaFon, M.Video, Nestle, etc. The main objective of Ministry of Labour and Social Protection of the Russian Federation in the conditions of digitalization – to place priorities, to create a necessary regulatory framework and to coordinate process of implementation of IT in Rostrud, the Pension fund (RPF), the Social Insurance Fund (SIF) and organizations of medico-social examination (ITU), there began the performance Alexey Sklyar, the Deputy Minister of Labour and Social Protection of the Russian Federation. As of the end of November, 2018 the ministry creates a unified plan of actions in the field of information technologies. A number of uniform requirements to information systems and also to regulations of their maintenance and support of users is developed. 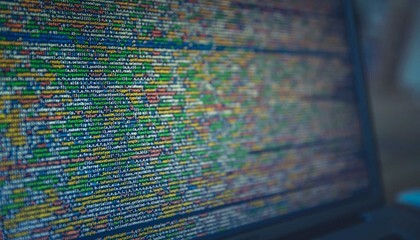 Citizens should see as well as who processes their addresses, regardless of how they were given, – Alexey Sklyar says. In 2019 Ministry of Labor is going to develop further digital channels of interaction with citizens. Public services should become the most convenient. Special attention will be paid to pro-activity, exterritoriality and a mnogokanalnost of their providing. So far there are very few services which can be received in electronic form, – Alexey Sklyar says. – Each department has own contact center, own personal account. We should integrate them and provide to citizens uniform point of entry to all social services. Detailed contents of the report of Alexey Sklyar here. In 2017 the project of creation AIS RPF-2 came to the end. In a system the personified account of citizens is kept, pensions, maternity capital are granted and paid, control of pension savings is exercised. Total amount of data, stored in AIS RPF-2, exceeds 600 Tbyte, and every year it increases approximately by 50 Tbyte. In a system monthly there are about 150 million transactions. Since 2018 the RPF started creation of AIS RPF-3 – the system of new generation focused on providing digital services to citizens. During its creation the latest technologies will be widely used: the distributed register, artificial intelligence, remote identification. All innovations implemented by the Pension fund will be directed to quality improvement of service of citizens. In work of back office we adhere to healthy conservatism and we use the solutions only checked, well proved, – Alexey Ivanov, the vice chairman of the board of RPF says. According to him, in the nearest future the Pension fund will become the full-fledged digital platform of rendering social services to citizens. Already today the certificate of disability is issued to citizens on the basis of these FSIS of the BIG-HEAD, and award of pension happens without personal visit of departments of RPF. The Uniform GIS of social service created by RPF contains information on all measures of social support of citizens. Based on the available information systems of RPF suggests to create the social aggregator to which not only the state, but also commercial organizations providing social services will be able to be connected in time to inform on them citizens. One more project – the digital social card, mobile application using which the citizen will be able to confirm the bonus right. The RPF is going to control use of discount tickets on transport by means of technologies of the distributed register in which information on the citizens having the right to travel privilege will be stored. Registry access will be got by all carriers, RPF, Ministry of Labour and Social Protection of the Russian Federation and the Russian Railway. The prototype of the solution will appear at the end of 2018. And in 2019 together with the Russian Railway the pilot project on road section in Central Federal District will be started. Detailed contents of the report of Alexey Ivanov here. 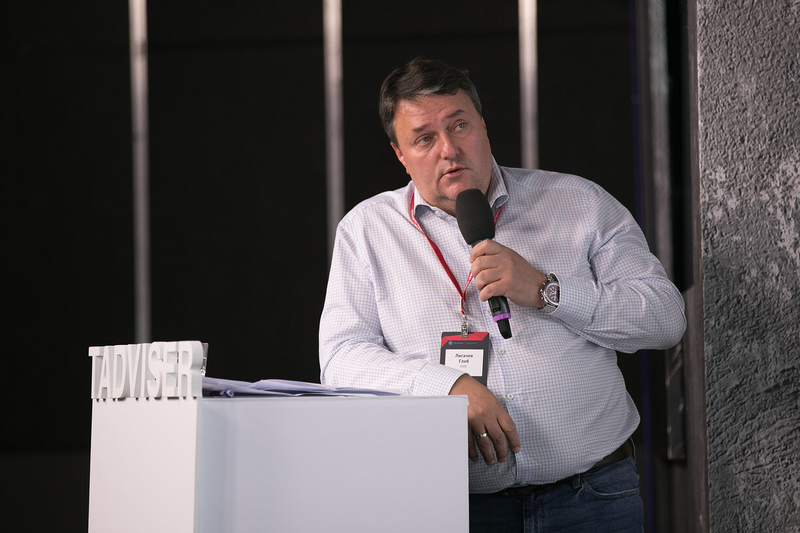 Our main objective – to make so that people could quickly, conveniently, at any time and in any place to receive public services", – Dmitry Selivanov, the Head of Department of IT and data protection of the Social Insurance Fund of Russia agrees with the previous speakers. In plans of the Social Insurance Fund till 2024 - creation of the social navigator, "smart" calculator, the system of social informing, implementation of voice assistants based on artificial intelligence, transition to a register method of provision of services without obligatory visit of departments and regardless of the place of stay. Citizens will not bring documents, necessary for a design of privileges, in fund any more – the fund will request them through SIEI. Services can be received using mobile application, work of their suppliers will be controlled by smart contracts, and it will be possible to resolve disputable situations using the digital social lawyer. Dmitry Selivanov told about some projects which are already started by the Social Insurance Fund. It is the electronic sheet of disability (ESD) which is already issued by 56.1% of the medical organizations. It is accepted in the largest Russian companies, such as Sberbank, Gazprom, "KamAZ", the Russian Railway, etc. where 46.3% of citizens work. Formation of ELN is implemented in all most popular accounting systems - "1C", Parus, GSI, etc. The project of issue of ELN is implemented based on blockchain technology. Together with Federal Treasury the project of direct payment of a social benefit for the World card is implemented. Information on payment arrives on the card instantly and increases on it a credit limit. Money comes a bit later, – Dmitry Selivanov explains. In the next plans – implementation of the electronic birth certificate. It will form at the first visit by the expectant mother of the doctor, and then to be supplemented in maternity hospital and children's clinic. The relevant information will be immediately transferred to the Social Insurance Fund for payment. Dmitry Selivanov told and about some other interesting initiatives of fund is an and electronic coupon on the drive to the place of treatment, both the social calendar of providing the disabled person, and instant compensation for expenses for acquisition of technical means of rehabilitation. Detailed contents of the report of Dmitry Selivanov here. 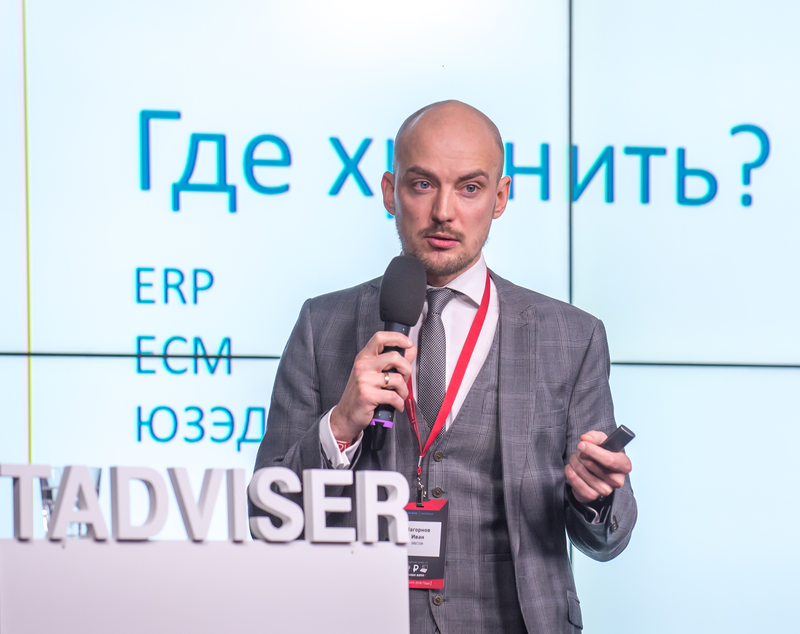 In 2018 connection of the state departments to the cloud system of accounting and the reporting created based on the information management system by public finance "The electronic budget" started, Alexander Albychev, the deputy manager of Federal Treasury told participants of TAdviser SummIT 2018. Until the end of the current year work with a system there will begin Federal Accreditation Service, Ministry of Science and Technology and Minprosveshcheniya. In 2019-20 mass connection of the state departments and organizations will begin. Their total number will be more than 1500. Technical support of the solution will be provided by 4 centers in Moscow, Nizhny Novgorod, Novosibirsk and Vladivostok. Until the end of 2018 to work with the centralized accounting more than 1300 employees of a federal executive authority and territorial authorities of FC will be trained. The C beginnings 2 quarters 2018 already came to specially created Uniform contact center of user support more than 290 thousand addresses. Also the FC is developed a remote training course on work from the centralized accounting. 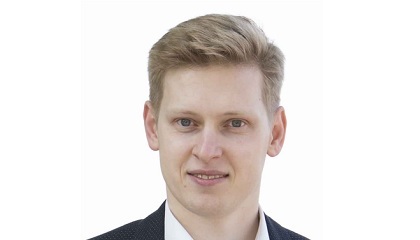 According to Alexander Albychev, the single cloud solution constructed based on domestic technologies not only will ensure stable functioning, but also will allow to reduce costs for development and maintenance of departmental accounting systems more than by 34%. Detailed contents of the report of Alexander Albychev here. 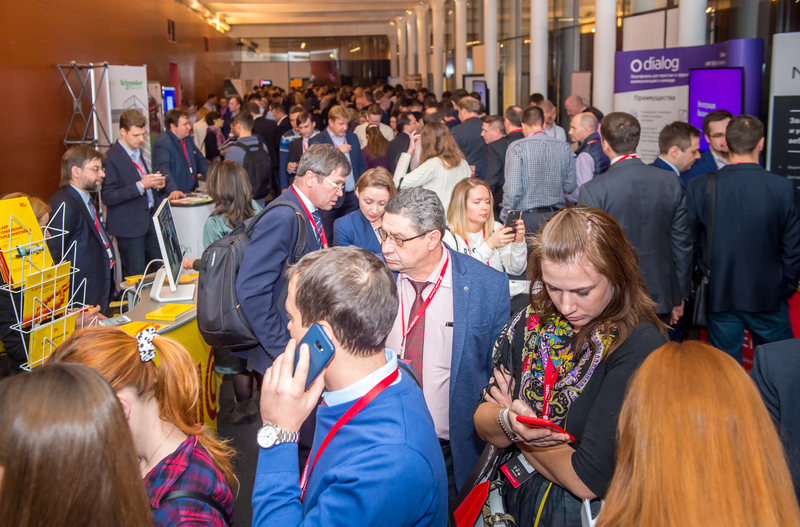 Digital transformation is first of all change of business processes and the attitude towards them of users, – Aleksandra Osipova, the head of department of IT of Rosimushchestvo says. To achieve success, the team of adherents, the consent of users to changes, understanding of methodology and only then new technologies is necessary. During digital transformation of Rosimushchestvo special attention was paid to quality improvement of data. In 2016 information in databases of department matched data of Rosreestr only in 11% of cases. Thanks to integration of departmental information systems today this indicator reached 70%. Aleksandra Osipova told also about the project of creation of a departmental centralized system of accounting and personnel records which provides a possibility of remote access from central office in each Territorial Department. And, of course, during digitalization of department domestic developments are actively used. Detailed contents of the report of Aleksandra Osipova here. 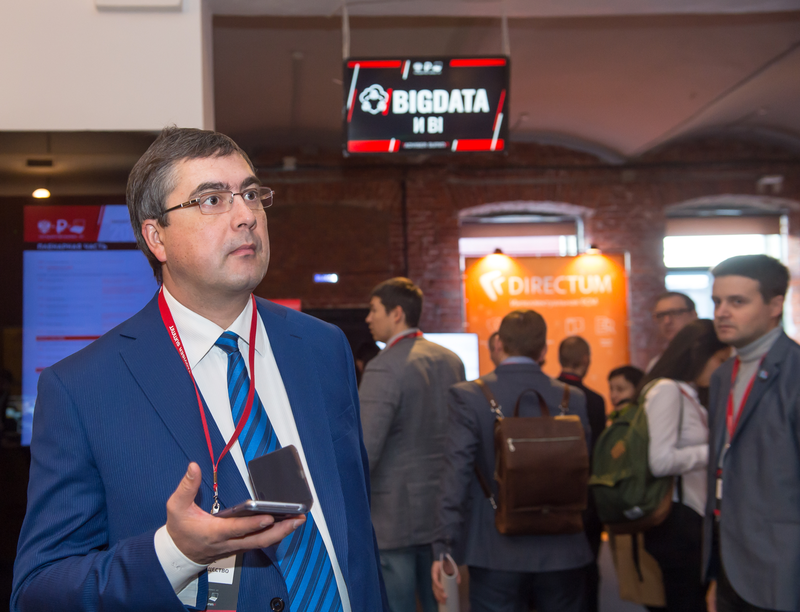 Evgeny Charkin, the director of information technology of the Russian Railway, told about the key directions of digital transformation of the company. The most important of them – mobility of passengers which basis should be a digital platform of services for passengers of new generation. With its help it will be possible to issue directly on the website of the Russian Railway the ticket for the multimodal trip including not only movement by railway transport, but also bus, taxi, etc. The Russian Railway is also going to develop digital services for passengers directly onboard the train – providing multimedia content, purchase of goods to the road, tourist services, an opportunity to order a power supply and so forth. And at stations and in trains the systems of augmented reality can appear in the nearest future. In the field of cargo transportation the intelligent system transport, a control system for movement, safety of loads, etc. actively develops. On Russian Railway electronic marketplace to which about 3,200 companies are connected it is possible to order delivery services and to storage of loads. We create the open platform to which all who are ready to render services to clients of the Russian Railway can be connected, – Evgeny Charkin emphasized. He told about pilot projects of implementation of the latest technologies which are implemented now by the Russian Railway. It is a control system of lifecycle of cars and spare parts and smart contracts in a transport and logistic complex based on a blockchain, control of the international transit transportation of goods through the territory of the Russian Federation and the system of the centralized scheduling of the engineering equipment with a basis of Internet of Things, use of Big Data for the purpose of reliability augmentation of infrastructure facilities and the rolling stock, message handling of drivers based on sensing technologies of the speech and the pilotless trains managed by artificial intelligence. Detailed contents of the report of Evgeny Charkin here. 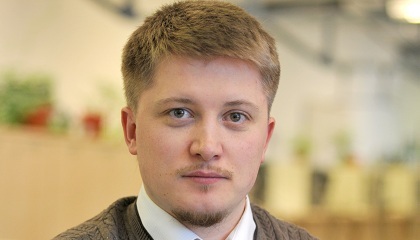 Control of power supply system is exercised on the basis of digital modeling today that is impossible without application of information technologies, there began the performance Gleb Ligachev, the director of information technology of "System Operator of the Unified Energy System" (SO UES). It requires application of non-standard solutions and their continuous improvement, so, leads to continuous growth of amounts of data, increase in requirements to means of their processing, storage and transfer. Control of IT systems is exercised by the dispatching centers which work round the clock and should have a possibility of autonomous functioning at emergence of emergency situations. Information systems of SO UES process more than 1 million distance measurements and more than 1.25 million telesignals in real time. 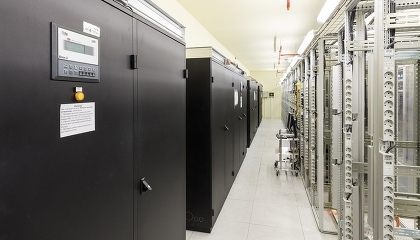 In 57 dispatching centers "end-to-end" ICT infrastructure is created, they are connected by a multiservice communication network to reservation. ICT infrastructure includes more than 100 server premises, 50,000 units of the IT equipment which are serviced by more than 1,800 IT specialists. In 2019-2023 SO UES is going to implement 84 new IT projects, including 12 in the field of implementation of the new technology systems, 14 – in the field of IT infrastructure, 14 – in the field of telecommunications and communication, 17 – in the field of information security. Among them there are a creation and step-by-step implementation of the main technology system (NP OIC), development of technologies of information exchange with subjects of power industry on modern exchange protocols of information, reorganization of network of a conference circuit using modern technologies of package switching, approbation and testing of perspective IT solutions. Detailed contents of the report of Gleb Ligachev here. The performance of Sergey Pegasov, the head of directorate of IT of Promsvyazbank was devoted to new calls which face financial institutions. Among them not only sanctions, import substitution and cyberthreats, but also all the growing competition in digital services, emergence of new business models and difficult digital products and also need of monetization of data and increases in speed of decision making. All this requires change of IT infrastructure, business and IT processes, implementation of innovations and full-time employment with the personnel. In Promsvyazbank the innovation laboratory is created, created and the ecosystem of partners develops, the system of assessment of innovations and mechanisms of their attraction is developed. The innovative solutions are built in architecture for the solution of business challenges. Sergey Pegasov gave examples of the most perspective solutions. First, it is the regulatory RegTech technologies integrating technologies for the solution of cross-functional tasks in spheres of regulation and compliance to requirements. Secondly, colloquial interfaces are platforms of interaction with users at the heart of whom - natural languag processing. Thirdly, the digital payment adviser – mobile application which recommends the most suitable payment methods of products and services in terms of value increase of digital assets (bonuses and points according to programs of loyalty, miles of airlines, partner discounts and other) on the basis of time and location. Fourthly, the open bank platforms providing access to assets and functions of bank due to formation of internal and external ecosystems by means of API and microservices. And of course, their creation is possible only on the basis of the principles of agile development of Agile which should be accepted by all participants of process. 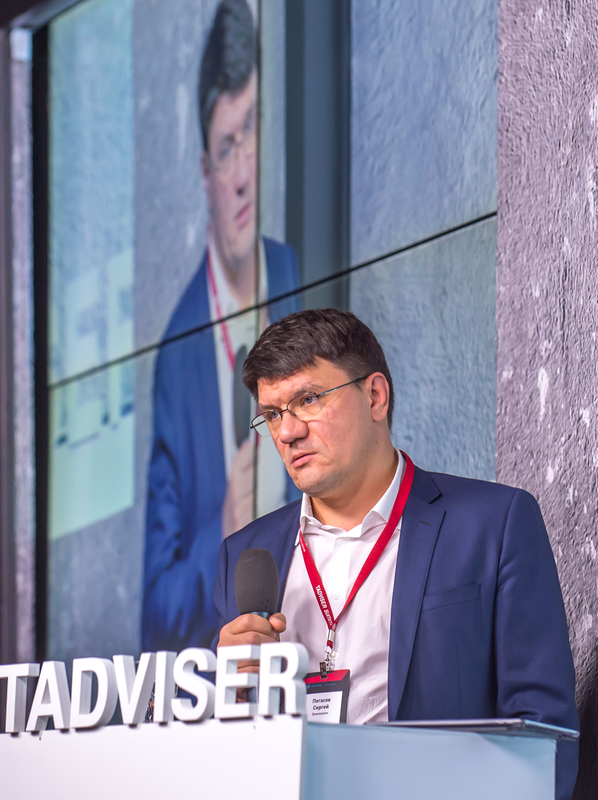 Today we are engaged in transformation of information technology management in product management, – Sergey Sergeyev, the director of information technology of the M of Video Eldorado group says. – Our main goal – to make front office solutions the easiest and flexible, and back office – reliable. For this purpose in the company actively implement iterative development and microservices which should integrate frontal and back office products, use ITSM and work with startups. According to him, the main trends in retail are virtual and augmented reality today. Sergey Sergeyev gave several examples of the technology changes directed to increase in business performance and improvement of client experience. "Even small change can bring notable result if it is implemented timely", – he is sure. On November 29, 2018 within the TAdviser SummIT conference: State. Business. 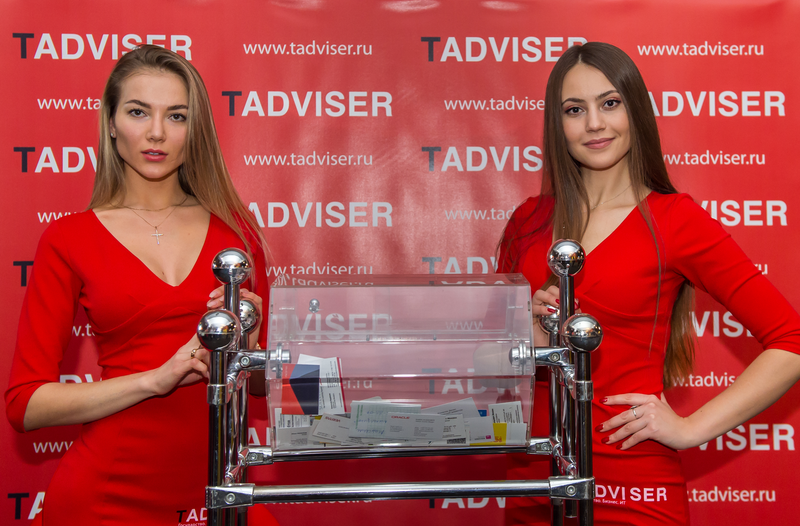 IT rewarding of winners of the award TAdviser IT Prize 2018 took place. 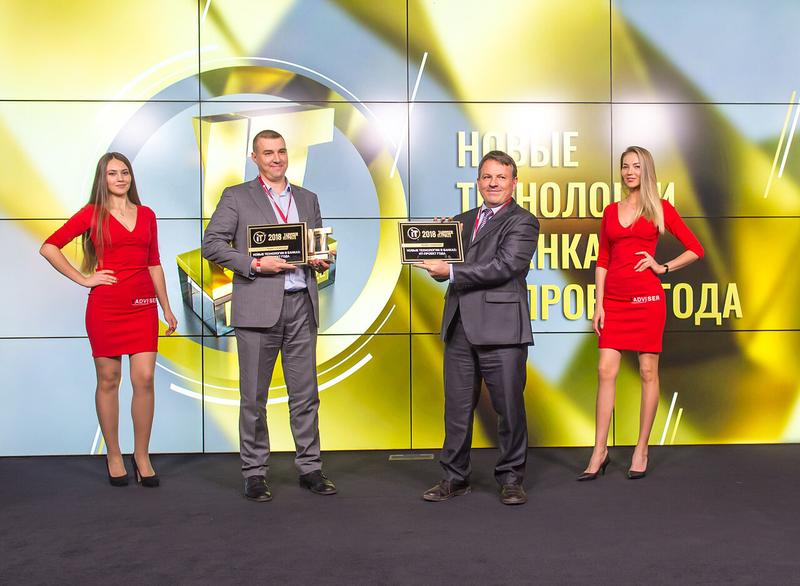 The Cinimex company and Alfa-Bank received an award in the nomination "New technologies in banks: The IT project of year" for creation of a resource for partners of the loyalty program of Alfa Travel bank. In more detail about rewarding here. 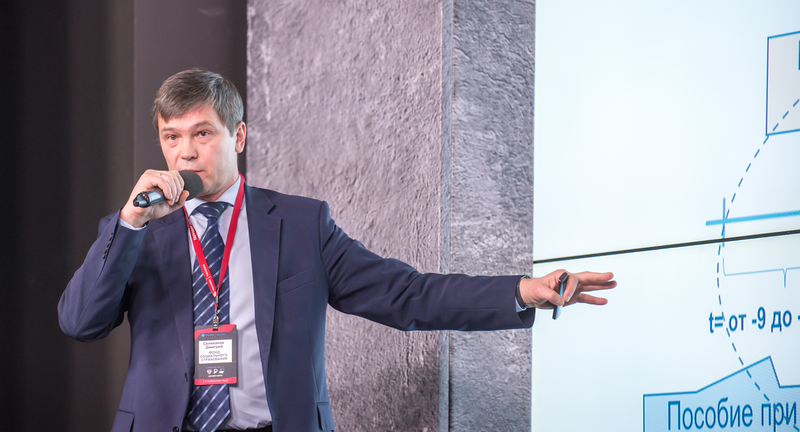 Alexey Nesterov, the director on ERP- solutions "1C companies" suggested to use for strategic management by business at digital transformation a complex of solutions "1C: Corporation". He gave several examples of its use at automobile plants BELGEE and UAZ, in group of companies Lokotekh, the company "Reduktor-PM", at the meat-processing enterprise "Remit" and so forth. Solutions of 1C can be integrated with the most different innovation devices, for example, such as smart helmets and bracelets, the medical equipment, instrumentation and automated control systems and so forth Alexey Nesterov told about the management system for power grid assets created in Bryanskelektro and in IDGC of the South based on "1C:ERP. Power 2". A system includes blocks of certification of the power grid equipment, management of repairs, integration into the SCADA system, integration into GIS system and also mobile application for management of repair crews and certification of the equipment. Its implementation allowed to reduce equipment downtimes because of weather conditions due to optimization of activity and anticipatory dislocation of repair crews, abnormal turning on of the de-icing equipment, operational management of information on a status of an electric grid and warehouse stocks. In the companies there is a set of documents which it is necessary to store more than 10 years. How to organize their long-term storage, Ivan Nagornov, the associate director on business development of DIRECTUM told. For this purpose it is possible to use ERP or ECM systems, YuZEDO-services or to create special storages. If the document is signed with the EDS, it should be re-signed annually, otherwise it will lose the legal importance. It is possible to use a blockchain for storage, but so far this technology is still insufficiently fulfilled. One more option – to use services of the entrusted environment which will confirm the legal importance of documents. Or to be engaged in restamping – repeatedly to extend the EDS validity. The main issue which arises at business, whether an example court electronic documents. Ivan Nagornov gave examples from judicial practice when the documents certified by the EDS were considered as the proof in arbitral procedure. Georgy Li, the area manager in Russia and the CIS countries of INFINIDAT, told about solutions which are proposed by the company to the Russian users. Organized in 2014 in Israel, the INFINIDAT company quickly wins the market and today is already among leaders of producers of storage systems of a magic quadrant Gartner. Solutions of INFINIDAT are already used by the largest world companies for placement of corporate applications SAP ERP, OLTP CRM, Exchange, frontend, backend and others, for creation of the virtualized environments, placements Big Data, backup, storages of content, etc. 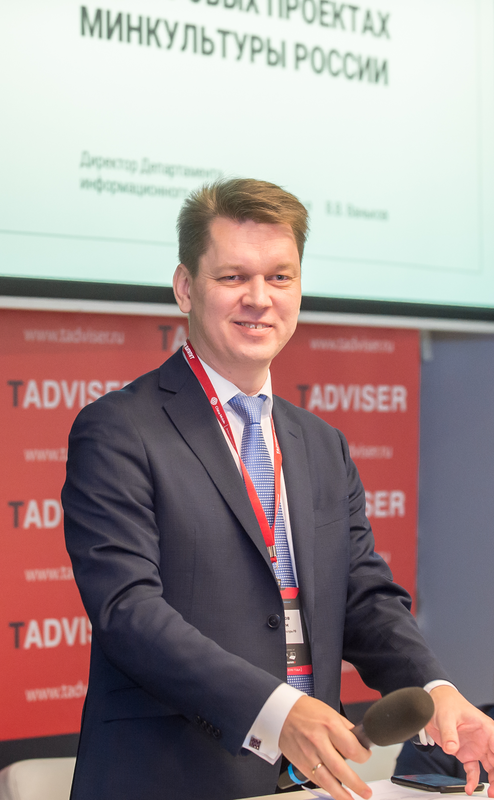 Ilya Ovchinnikov, the head of the Russian VAD of the ASBIS direction, the international IT of the distributor, the official distributor of INFINIDAT in 18 countries of the world, including Russia, told about relevance of solutions of INFINIDAT against the background of a course towards digital transformation. Digital transformation of business involves relentless data storage, in many respects unstructured. And growth of data will continue. Information needs to be stored and processed. Store on fashionable flash arrays? It is possible, but whether there will be you competitive against the background of others? Customers impose to storage arrays often mutually exclusive requirements – the low cost, the highest performance, reliability and scalability since data grow. The Israeli producer INFINIDAT managed to implement all these difficult requirements in one solution - the innovation DWH of InfiniBox, - Ovchinnikov noted. At the expense of what? The basis of InfiniBox is a self-training algorithm Neural Cache, the machine learning implementing the principles and the caching layers (DRAM and SSD) for "hot" data, the representative of ASBIS explained. As the result – InfiniBox is comparable on performance with fast all flash arrays. The low cost of storage for terabyte is provided due to use of commodity hardware. Reliability of DWH of INFINIDAT in 99.99999% guarantees safety of data. Ilya Ovchinnikov added that in 2018 Gartner included INFINIDAT in a segment of leaders of storage systems, being based including, on positive estimates of the real users operating this DWH. 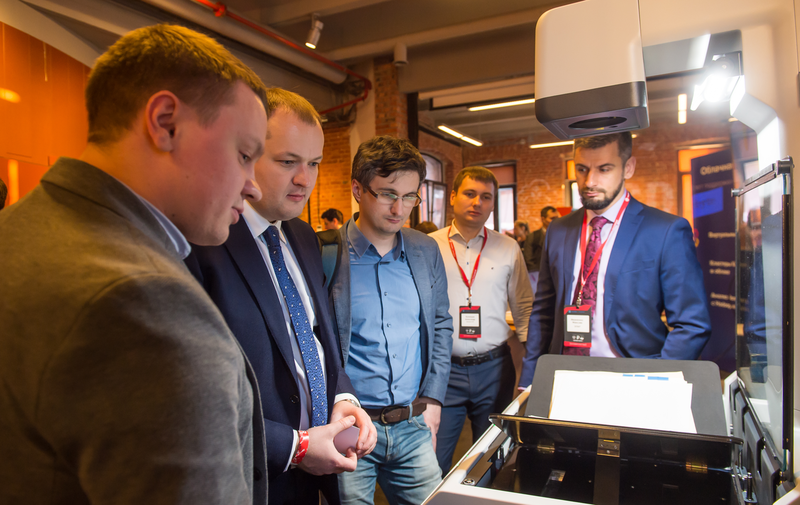 Dmitry Tameev, the Director of business development of RAS in Russia, the CIS and Eastern Europe of Parallels company, shared opinion on a role of VDI technologies against the background of digital transformation. Digital transformation of the enterprises was caused not least by change of approach to daily workflows. If earlier the most part of employees was tied to the bulky workstations which are physically connected to internal network, then now there are an opportunity and, respectively, requirement to be connected to internal systems and data from any device, from any place, to participate fully in processes and projects, without being in office. This task is also solved means of VDI, - Tameev noted. - The technology is presented at the market more than 10 years, however its true opportunities reveal right now, with universal distribution of high-speed access to network and mobile devices for every taste. Regardless of type, power or the operating system used on the device the user can get access to any internal services of the organization (in compliance, certainly, with security policy and the granted rights) – it is enough only WiFi or 3\4G and credentials. 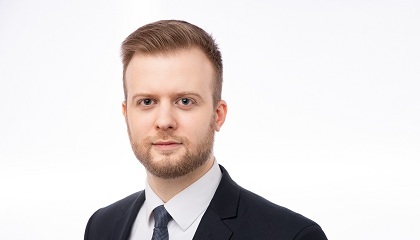 Dmitry Tameev added that the VDI solution Parallels RAS simplifies an input to this world for beginners because of the ease and convenience and helps to expand a covering to experienced users because of cost efficiency of the solution. Today most the companies does not need staff of dear engineers certified on VDI and the huge budget on the license, implementation and operation of VDI becomes simpler - it is quickly, conveniently and well, - the representative of Parallels summarized. At the end of the conference and in breaks participants communicated in an informal situation.